Kishlane O’Brien is the first Female Co-Chairperson of the National Junkanoo Committee and a Junkanoo enthusiast, having participated in the cultural expression for almost 30 years. 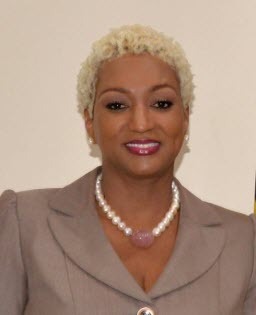 She is a member of the Junkanoo Corporation New Providence Limited and represents The Bahamas at national and international celebrations to promote the importance of cultivating and fostering the spirit and expression of Junkanoo. She is also the Public Relations Officer of the world-famous Valley Boys Junkanoo Organization. An accomplished financial services professional, O’Brien’s career spans two decades and she holds a Series 7 certification along with successfully completing various courses in fiduciary services, compliance, wealth management and securities. She is an alumna of the University of the West Indies.